Genre Friction: What is Tsarpunk? by Leigh Bardugo | STEAMED! Today we welcome Leigh Barduo who’s going to tell us all about Tsarpunk, because Tsarpunk is awesome. Leigh Bardugo was born in Jerusalem, grew up in Los Angeles, and graduated from Yale University. She indulges her fondness for glamour, ghouls, and costuming in her other life as a makeup artist. She lives in Hollywood and can occasionally be heard singing with her band, Captain Automatic.Her debut novel, Shadow & Bone, is the first book in the Grisha Trilogy and will be published by Holt Children’s/Macmillan in June 2012. Genre Friction: What is Tsarpunk? We can be frank with one another, yes? We’ve known each other, lo, these many seconds, shared a few vowels. All right then, I’ll give it to you straight: The term “Tsarpunk” started off as a bit of a joke. When I wrote my debut novel, Shadow and Bone, people kept asking me to identify the book’s genre. One glance at the map will tell you that this story isn’t alternate history, but saying “High Fantasy” made people reach for their crossbows. Do Shadow and Bone and Tsarpunk belong anywhere along the Steampunk spectrum? Lia Keyes, founder of the Steampunk Writers and Artists Guild and host of #SteampunkChat (Fridays, 6pm PST, not to be missed! ), was kind enough to help me break it down. Lia Keyes: Shadow and Bone, is a genre-mashing feast being referred to as Tsarpunk, so let’s get right to it: How do you define Tsarpunk and how does it differ from High Fantasy? Leigh Bardugo: First of all, I would very much like to attend a genre-mashing feast. It sounds delicious and possibly messy. Second, I always thought of the Grisha Trilogy as High Fantasy or Epic Fantasy. (Please don’t ask me to distinguish between these two things because I’ll start babbling about heroic quests, and word count, and eventually, you’ll just find me in a corner muttering in Elvish.) But I was surprised at how often this was met with resistance and confusion– and occasionally, outright hostility. Despite the fact that plenty of authors have created secondary worlds built on varied cultural bedrock, most people still associate High Fantasy with Medieval Europe, usually Medieval England. So, for some reason, the Russian influence seems to throw people for a loop. Also, the advance of military technology plays a major role in the series, and when you bring guns into the discussion, all hell breaks loose. So, for the sake of simplicity, I’ll say that Tsarpunk is fantasy that takes its inspiration from the aesthetics, culture, politics, and social structure of early 19th century Russia. But the magical system is a bit different from standard High Fantasy, too. Lavie Tidhar of the Internet Review of Science Fiction defines Steampunk as that moment whereby ”technology transcends understanding and becomes, for all intents and purposes, magical.” Can you tell us about the tension between technology and magic in Shadow and Bone? I don’t think there’s a science fiction or retro-futurist element at play here. The Grisha practice the Small Science: the manipulation of matter at its most fundamental levels. But they can’t create or animate matter. Inferni can summon combustible gases like methane or hydrogen from the atmosphere, but they still need a flint to create a spark. Similarly Grisha steel or corecloth (similar to modern body armor) isn’t endowed with wizard sparkles. It’s the result of the Fabrikators’ ability to hone a blade at the molecular level and to create modern alloys and polymers through means that to us would appear magical. So maybe there’s a bit of an inversion of Tidhar there? The Fabrikators are a recognizably Steampunk archetype, much like Makers. What part do they play in the overall storyline? So the historically uneasy relationship between magic and science is merged in Shadow and Bone, providing a scientific basis for Grisha power, but science isn’t an entirely friendly presence. You also allude to the dangers of trying to push the boundaries of that power. 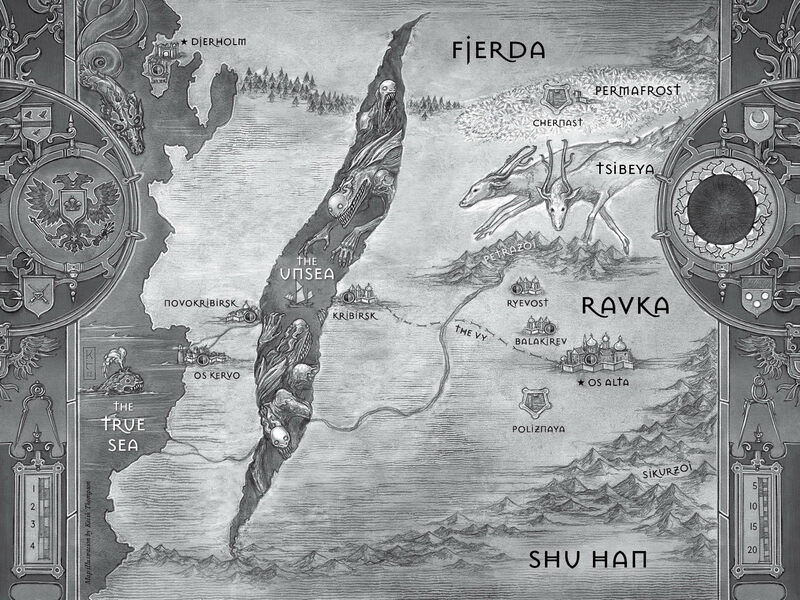 In creating the Russian-inspired Ravka, how did you approach research, and how did you decide where to divert from reality in order to create a unique world? The choices I made were always based on what I felt served the world and the reader’s experience best. But things enter the narrative in funny ways. For instance, after the Napoleonic wars, the aristocracy’s infatuation with all things French fell out of fashion and there was a clamor for the “authentically” Russian. In Shadow and Bone, the Grisha have embraced peasant crafts and culture (down to what they eat for breakfast) in an attempt to distinguish themselves from the aristocracy and to associate themselves with the Ravkan people. Much like Russian noblemen who rusticated in fake hunting lodges, they’ve adopted a kind of theme park version of serf life. For the Grisha, it’s a misguided attempt to seem more populist and to assimilate. “Assimilate.” Is that a deliberate choice of words? In the #Steampunkchat I hosted, you mentioned that you’re a Russian Jew. On my mother’s side, way back. On my biological father’s side I’m Sephardic. So, when we weren’t running from pogroms, we were running from the Inquisition. Apparently, I should be much more fit. (Also, my last name is Spanish for “executioner” so I guess we didn’t spend all of our time fleeing.) And yes, I suppose “assimilate” is a deliberate choice. Though the Grisha are an elite, they’re also a group subject to a great deal of prejudice and suspicion. One of the reasons Ravka has survived is because they’re the one nation where Grisha are safe from persecution for their abilities. Elsewhere, they’re burned as witches, experimented on, sold as slaves. To me, this idea of Ravka’s Second Army was a bit like the Jewish scientists who fled Europe and became a kind of braintrust for the United States in World War II. You said Tsarpunk started out with tongue firmly in cheek. But what’s the verdict now? 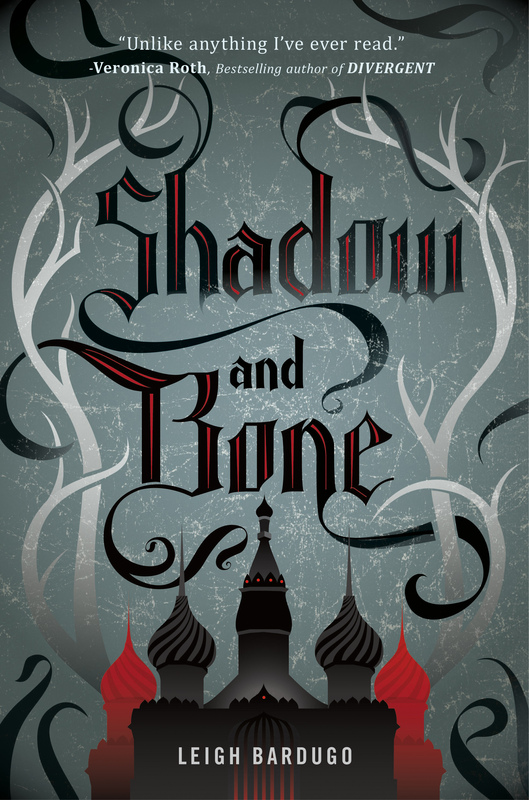 Do you think of Shadow and Bone as High Fantasy, Steampunk, or something else? Hell if I know. To be considered a real sub-sub-genre, I think Tsarpunk wouldn’t just be about Russian influence as window-dressing but also about incorporating a distinctly different worldview and spirit. I hope the Grisha Trilogy does that, but I’m not going to be the one to claim it. If the series shares the revolutionary and DIY sensibilities of punk, then that makes me happy. If I get to rub up against the innovation and ingenuity of Steampunk, I’m honored by the association. If Shadow and Bone stays firmly grounded in High Fantasy, I’m good with that, too. As long as no one calls it smooth jazz, we’ll be just fine. Watch the book trailer for Shadow and Bone here. Download a free excerpt here. Learn more about the Grisha Trilogy at LeighBardugo.com. What great timing! I just started Shadow and Bone this morning; it was one of my Amazon Vine picks for April. I’m on Chapter 2 right now, so I don’t think I’m far enough to see the steampunk elements yet, but they are coming. One of the things I like the most already IS the Russian setting. It’s different from the recreated European worlds that show up a lot in fantasy. Sounds like a deliciously fun read! Can’t wait to make the journey.